The most welcome news for Venezuelan President Nicolas Maduro in the past month came from Russian President Vladimir Putin in December. Maduro and Putin reaffirmed the relationship between the two countries with more than just words. More than $5 billion in new oil exploration and production deals were signed when the two met in December which will assist Venezuela in establishing its ambitious (or foolhardy) plan to only sell its oil in its oil-backed cryptocurrency, the Petro. 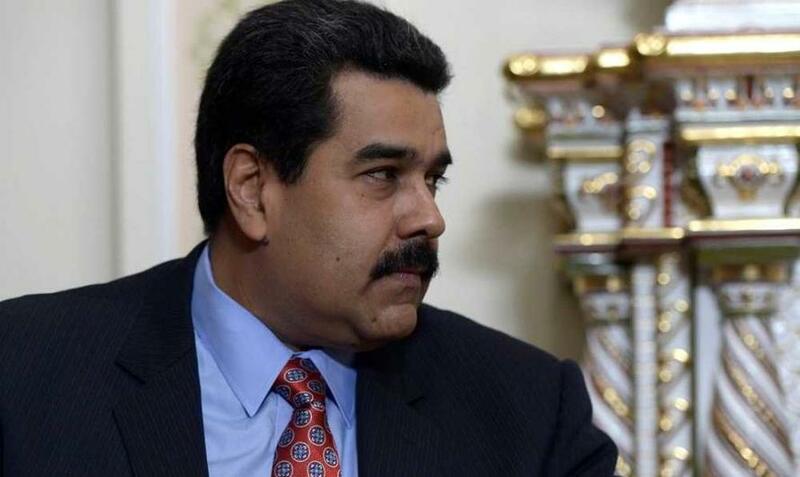 Maduro has insisted that the Venezuelan state oil company PVDSA will only accept Petro for its oil starting this year. By all accounts the Petro looks like a scam and until he can make good on promises to his benefactors, Russia and China, there is no way they will use it. But, in theory, the Petro is a fine idea. Is it one that Maduro can pull off? It’s a good question. I doubt it. But if it, or something like it were to succeed, it represents a tectonic shift for the world economy. Not today or tomorrow, mind you, but over time. Why? Because it provides a blueprint for countries which are not on The Davos Crowd’s Christmas card list to extricate themselves from the IMF/World Bank/SWIFT hamster wheel of currency collapse, debt slavery, economic privation and regime change. Because cryptocurrencies exist outside of the traditional banking system it allows them to skirt sanctions (which are acts of war) and continue engaging in peaceful commerce on their terms, not those set on Wall St. or K Street. But that said, there’s no real need for the Petro per se. Maduro could simply take Bitcoin. The other day I wrote an article tying US policy towards Venezuela to Iran, saying Trump’s plans for Energy Dominance are what is driving his foreign policy. Venezuela looks like a dry run for what’s on tap for Iran later this year or early 2020. And its John Bolton who is the architect of this horrific policy. This is the John Bolton blueprint for regime change. Demonize the leader of a country that opposes our imperial rule, cut them off from the rest of the world through sanctions and political/military pressure and wait for the society to collapse. Then back a regime change by a US groomed puppet, in this case the nobody who is Juan Guaidó. Sell it all the entire time as a failure of the other guy in charge. For Chavez and Maduro the spectre of Socialism is all it takes, especially now with the Democrats and the media championing our own female Che, Alexandria Ocasio-Cortez, as the bogeyfem. If that fails and it looks like it has then threaten to invade on humanitarian grounds. The only way this works with a US population weary of two straight decades of war is for things to get so bad our intervention makes us look like the savior of a blighted people. Once you make the big move, like Bolton and Pompeo did earlier this week, you have to get the kill shot quickly or things stabilize against you. I told you this last summer when it was Turkey’s lira that was the big story. And before that it was the Saudis’ attempt to overthrow the government of Qatar through financial and military blockade. And in late 2014 it was the collapse in oil prices which was supposed to spark a revolt against Putin in Russia which also failed, despite rumors of an internal coup within the Kremlin suppressed by Putin in March 2015. Every day past the big news day, the crisis day, that the target of that crisis survives raises the odds of the situation improving as the panic subsides, information is disseminated, markets calmed over and allies respond. The coming days will be key for Maduro. Because once the US makes its big move if it doesn’t get what it wants then it never will. Opposition to our meddling in Caracas will harden, Maduro’s position will strengthen and things will calm down. It will be up to Maduro then to get serious about making things right in his country. Again, I’m not sure he’s capable of it but once the cat’s out of the bag about how much the West wants him removed from power, the easier it will be to sell the Venezuelans left there that their plight is Washington’s fault, not his. The only silver lining to all of this is that Trump can then blame Bolton and Pompeo for this sad state of affairs, fire them for incompetence and begin dismantling the policy towards Iran. But, I’m probably just engaging in a bit of wishful thinking here. Over the past two years Venezuelan oil production has collapsed by nearly 30% from over 2.1 million barrels per day to under 1.5 million late last year. Production numbers have recovered slightly and were back above 1.5 million in December. But the reality is that those lost barrels are the difference between a stable government and one on the brink of collapse. The focus for Putin and China’s Xi Jinping now should be on getting those numbers back up to 2017 levels quickly and bringing some semblance of normalcy to the situation there. Then he followed that up by saying exactly that. Humans would rather starve to death than be saved by megalomaniacs like Bolton, Pompeo and Trump. Our dignity demands more from us than that. What is the saddest part of this is that the Trump base has been sold this policy as some kind of humanitarian mission to save the Venezuelans from Maduro. That groundwork has already been laid about Iran. When the reality is that it’s the US’s needs to starve the world of oil to maintain the petrodollar system that they need to be saved from.